The Pic-a-daily Project: See something you like? Motorcycles can look awesome when they're tastefully accessorized, like studded leather bags and custom gas caps, to name a few. Wonder what this babe would look like if she's lit, given she's already gleaming in the dark. 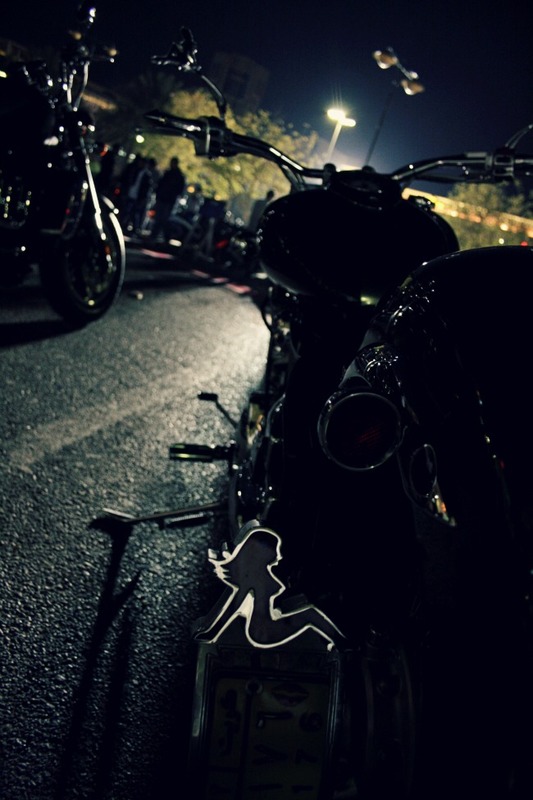 From when a few hundred of the region's bikers decided to get together for a bike show at Marina Crescent, Salmiya.